If you’re planning a visit to Ann Arbor, or if you already live there, you may like to know a completely new way to get around the city… a bike bar! 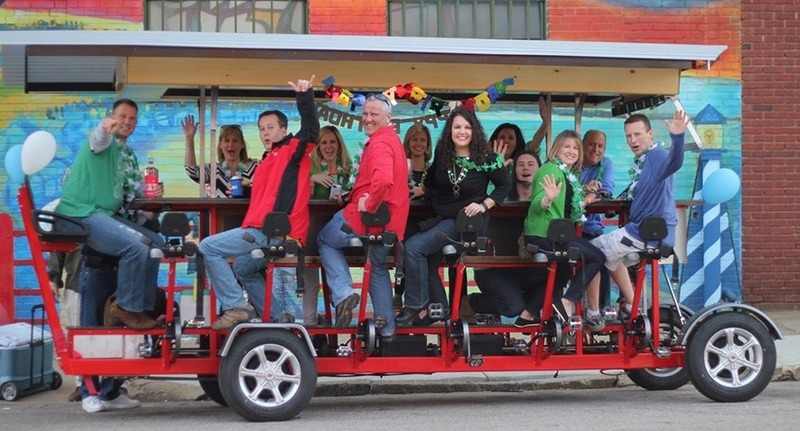 Pedal Saloon’s bike bars allow you and your party to cycle around the vibrant Ann Arbor city center, either getting a tour or simply bar hopping across the city with your very own mobile bar in between! A pedal party is the most unique way to explore Ann Arbor and it’s a great way to spend a bachelor or bachelorette party. Imagine cycling your very own bar around the city with your buddies, seeing the sights, having a blast, and enjoying tasty beverages along the way! Our pedal parties aren’t exclusive to Michigan: we also have bike bars in Houston, Arlington, and St Thomas! If you want to meet new people and explore Ann Arbor, then we’ve got a seat for you on our Mixer Tour! Our designated drivers take you to the best spots in town, so you can pedal and mingle with like-minded people. A truly unique pedaling experience! Closed-toe shoes. Cooler bag/box. Your own beer and wine, no glass permitted. Want to blow away your friends or colleagues with an awesome experience? Look no further! Our group discount means you and your friends can drink in the privacy of your very own bike. 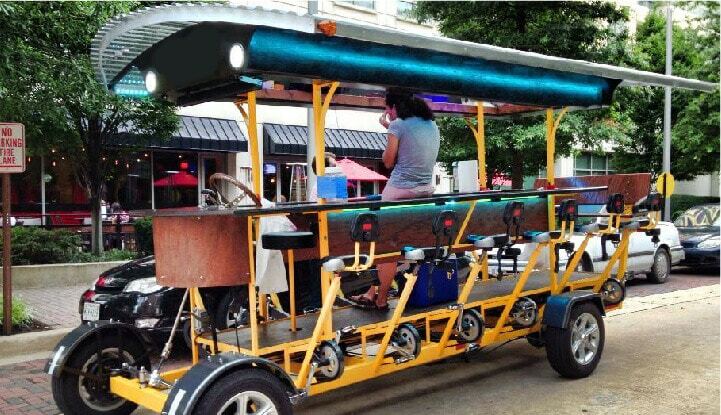 Starting at $349, hop aboard and let our bike bar take you to the very best bars in the city! Closed-toe shoes. Cooler bag/box. Your own beer or wine, no glass permitted. I celebrated my 60th birthday with a trolley ride. It was so much fun, I don't know how I will ever top it. So much fun! Give it a try, you won't be disappointed! The whole town gets involved with the experience! Pedal Saloon Ann Arbor is a great event for friend gatherings, b-day parties, or sight seeing the town from a different perspective. So fun!!! We had such a great time! This was a really fun way to show some out of town friends around Ann Arbor. Tristan was our driver and he made it fun. Nathan, G. Ann Arbor, Michigan. To help get you started, we’ve put together incredible food and drink deals for you in some of Ann Arbor’s most amazing bars! What could be better than exclusive drinks discounts and finger-lickin’ food? Join us and enjoy ice-cold drinks, draft beers, shots, margaritas and many more! You certainly can! Canned beer or boxed wine only. Be aware that any alcohol you bring on our beer bike must be consumed from a plastic container. No glass is permitted at any point. Our designated drivers have fantastic local knowledge of the best watering holes in the area. While we can’t adjust our route, rest assured you will be taken to the best possible selection of bars on offer. All riders must be 16 and able to reach the pedals. Pedalers under 18 must be accompanied by a parent or guardian. Pedalers under 21 must wear a wristband and follow all laws and Pedal Saloon rules. A little bit of rain never hurt anyone! Pedal Saloon runs rain or shine. The only time we cancel a tour due to rain is when a Severe Weather WARNING (e.g., Severe Thunderstorm Warning, Severe Tornado Warning) is issued by the National Weather Service. In this instance, we would be happy to re-arrange your trip to the next convenient time slot or offer you a full refund. Absolutely! The Pedal Saloon isn’t just a way to get you from A to B. It is also a great way to see the local neighborhood while burning some calories in the most fun way possible. At Pedal Saloon we couldn’t be prouder of our amazing guides! Find out more about each of them below. Jake loves three things in life: great food, great drink, and fantastic people on pedal pubs! With over 13 years of living in Ann Arbor, he can give you the lowdown on the city while you pedal through its charming streets. 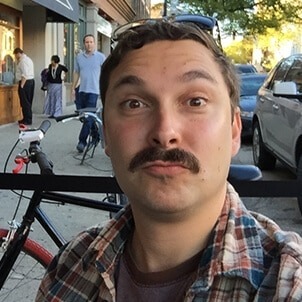 Jake also works as a business consultant for fledgling retail start-ups, and he's always on the look-out for cutting-edge business trends - so it's easy to see why he's in love with Pedal Saloon! 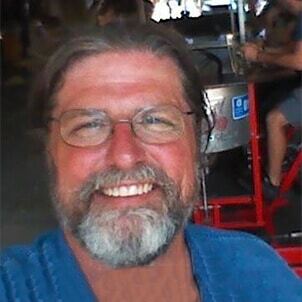 Doug is an Ann Arbor Townie who attended St. Francis, Tappan, and Pioneer High Schools. He knows his way around downtown, so he's the perfect guide for finding fun, which is not only his job but he's made it his life's purpose. He's also our Mechanic and he keeps the trolleys rolling. Our lead trainer and driver, Kari, is quite the extrovert and is a true party-starter for tours. She's also a local and an expert on Ann Arbor pubs. With over 300 tours under her belt, there's no doubt she loves what she does! 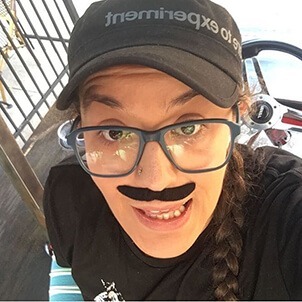 Sierra joined the Ann Arbor Pedal Saloon/Trolley Pub team this past August 2017, after moving back to her hometown from NYC. She is a recent graduate of the Fashion Institute of Technology, where she studied Accessories Design, and brushed elbows with the fashion elite of New York. Before facing the Big Apple, she worked in the Pays Basque region of France and Spain. 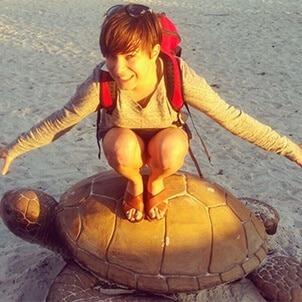 As a passionate traveler and francophone, she has lived in four different countries and enjoys sharing and exchanging cultures, languages, crazy adventures, and the resulting stories. She has experience in design, personal training, and competitive athletics - so she’ll make sure you pedal! Sign the waiver and get pedaling!